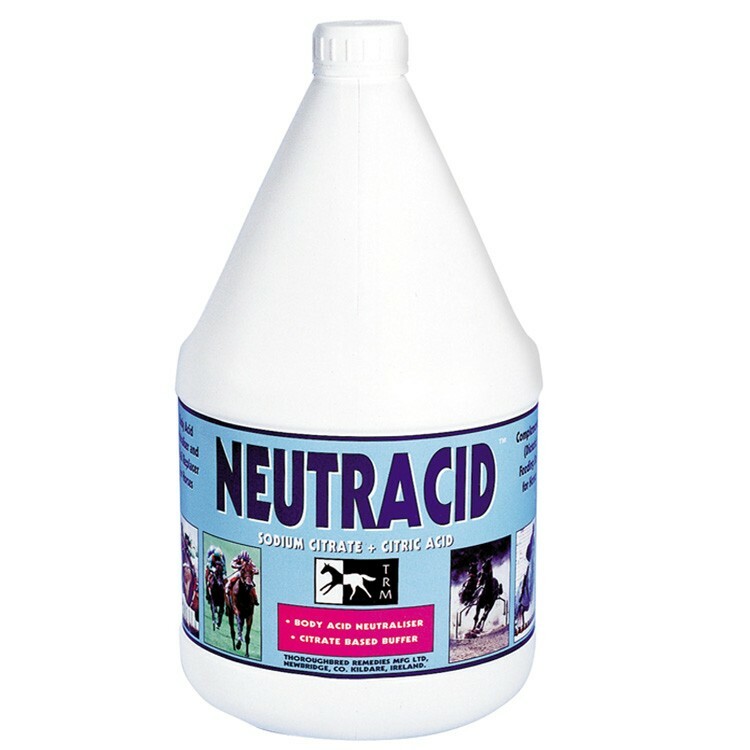 TRM Neutracid is a revolutionary supplement for horses that targets lactic acid build up in the body. This accumulates through strenuous exercise. TRM Neutracid contains citric acid metabolites and is designed to help support the health and integrity of the muscles and maintain the balance of various important chemicals in the body. Do not exceed the recommended feeding instructions without consulting your nutritionist or veterinarian. Horses should always have access to fresh drinking water. There are currently no questions for TRM Neutracid for Horses - be the first to ask one!